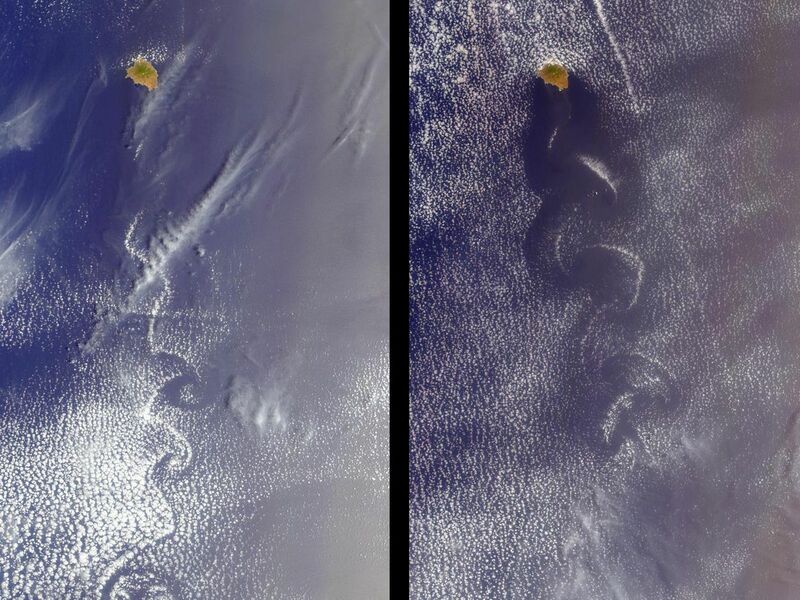 These MISR nadir-camera images from April 23, 2000 (Terra orbit 1855) and May 9, 2000 (Terra orbit 2088) show cloud swirls, like delicate lace, forming patterns known as von Karman vortex streets. 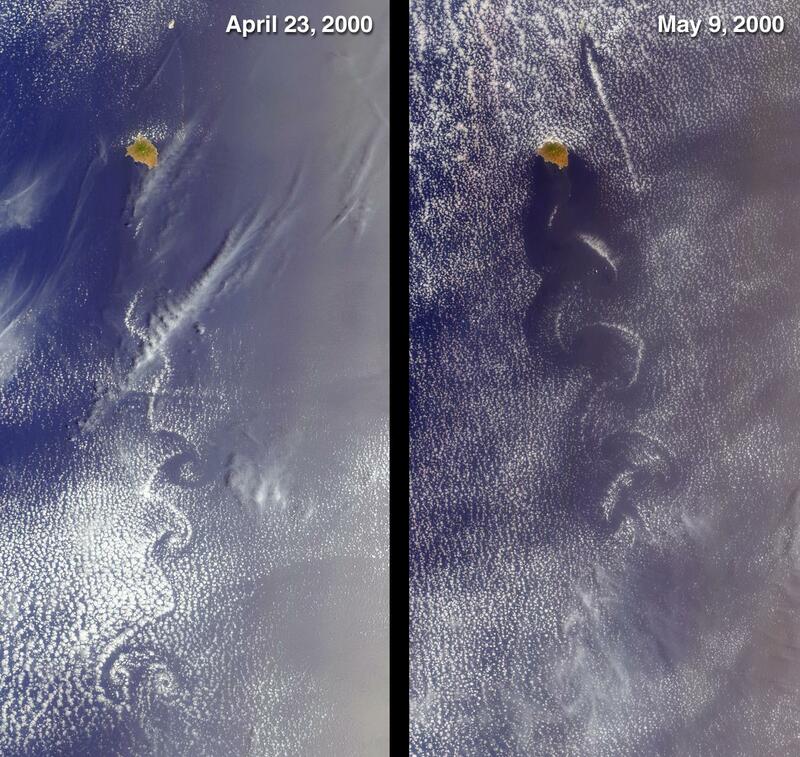 The turbulent atmospheric eddies form in the wake of an obstacle, in this instance the 1050-meter-high summit on the island of Socorro, Mexico. The surrounding clouds make the vortex patterns visible. To the northeast, much subtler disturbances are associated with the tiny Isla San Benedicto. Both islands are part of a group known as the Revillagigedo Archipelago, and are located about 400 kilometers equatorward of the southern tip of Baja California. 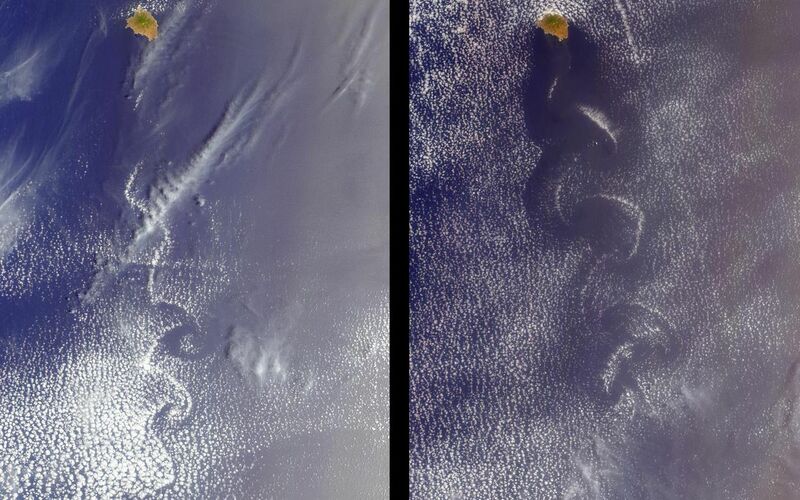 Each of these images is approximately 180 kilometers wide and 350 kilometers long. 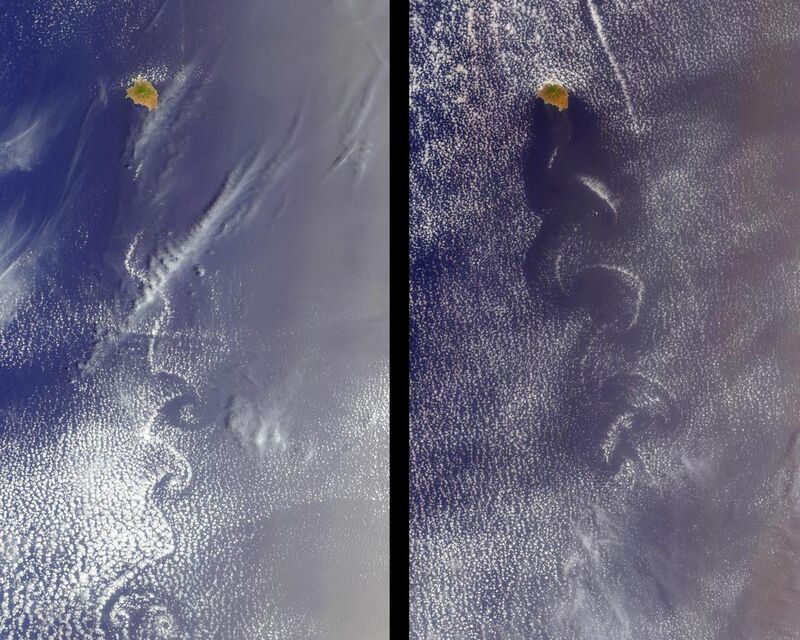 The von Karman vortices are named for aerodynamicist Theodore von Karman, one of the founders of the Jet Propulsion Laboratory.